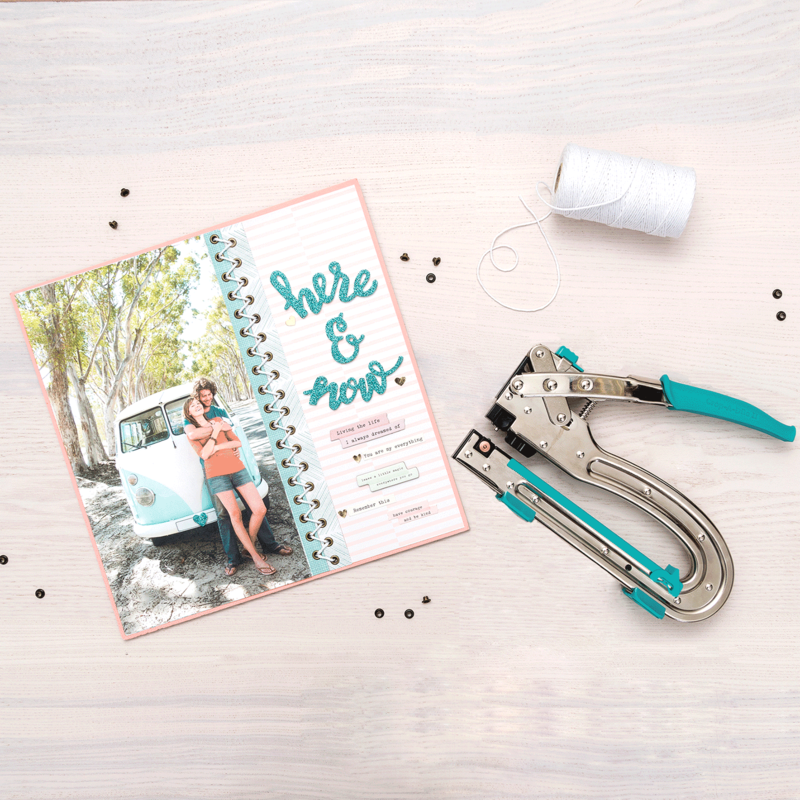 Punch through paper, cardstock, thick bookboard, thin tin, and more. Set both eyelets and eyelet/washer combos. Easily punch 1/8 inch and 3/16 inch holes. Set anywhere on a 12 inch paper. 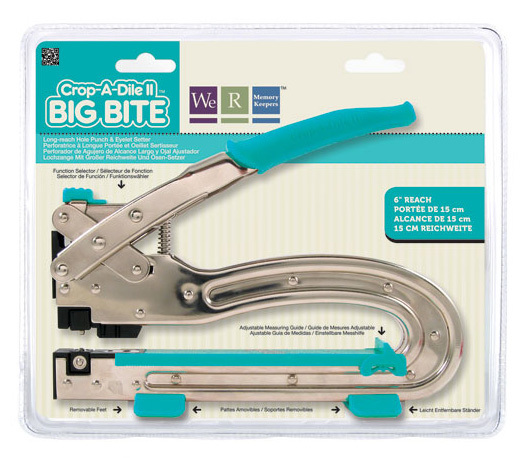 Big Bite Crop-A-Dile II is an all-in-one tool for punching, setting, and snapping. 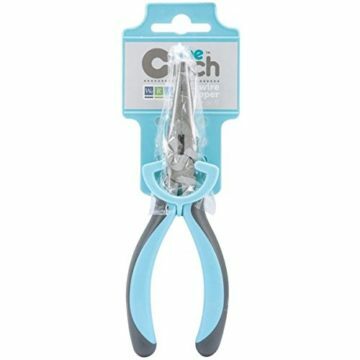 It’s ideal for eyelets and grommets. 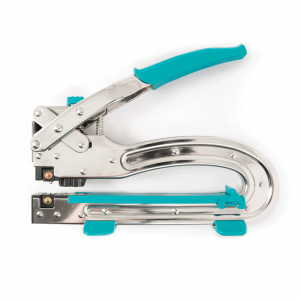 Can punch through paper, leather, fabric, plastic, thin tin, chipboard, and much more! 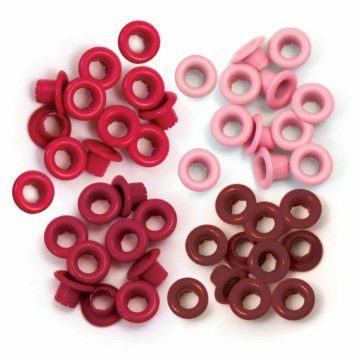 Easily sets grommets with a 1/3″ center. 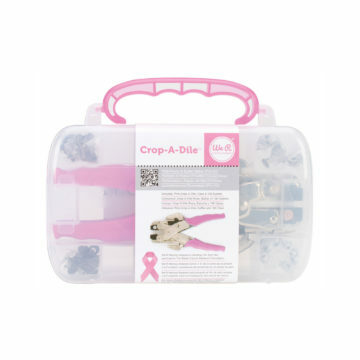 Features a 6″ punching reach that allows you to punch and set the accents at the center of your 12″ x 12″ pages. 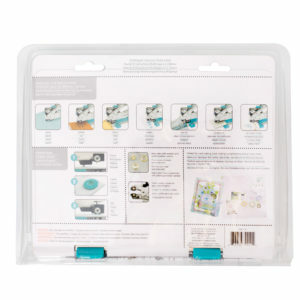 Rotating setting blocks and action setter help you do what you want to do without fumbling around for loose pieces. 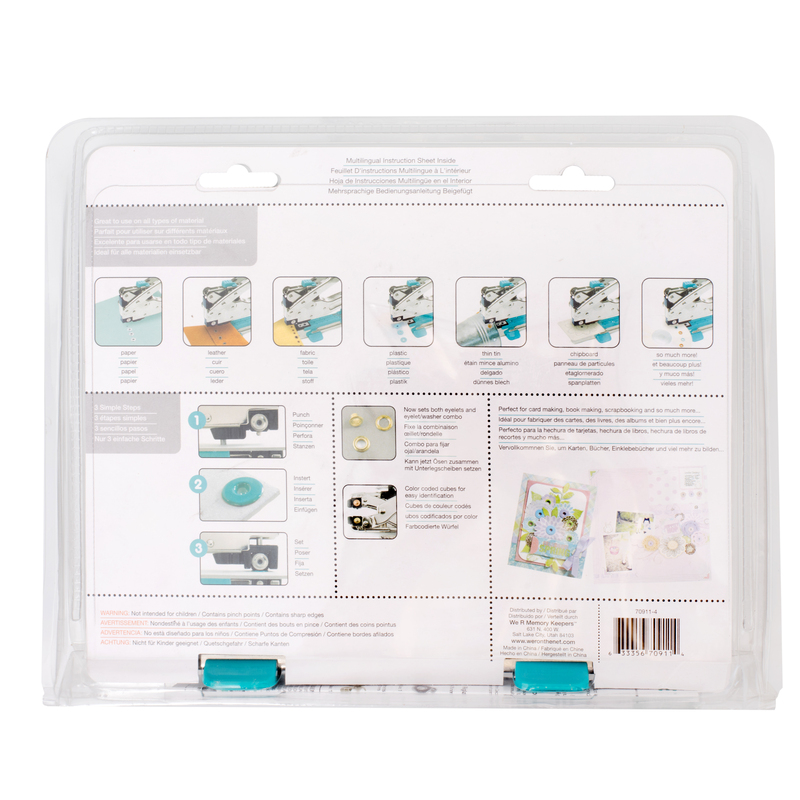 Also features two removable feet and an adjustable measuring guide. Size 12.25″L x 2.75″Wx 11″H. Silent and easy to use.